Before we had even bought our first house over 10 years ago, I remember starting to buy Christmas decorations, for the tree we did not have. 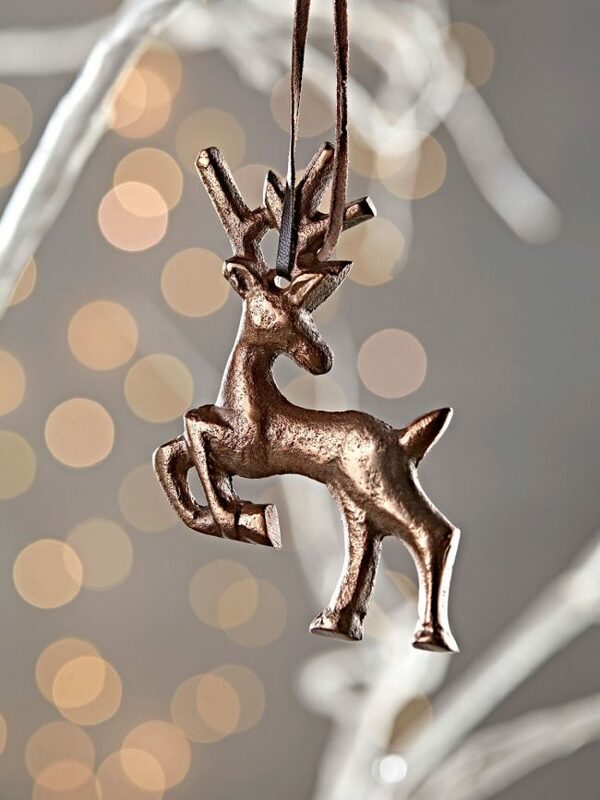 Much to my now Hubby’s dislike, he just couldn’t understand why I was starting to buy decorations, but I couldn’t not as the following year I might not have been able to find the same ones. We, well I decided on a plum and silver theme for our tree and over the years I have collected a range of decorations. Yet in the last couple of years I have been thinking about changing my theme for something else, and this year I am doing just that. I love having the Christmas tree up, since having the children I try and put get it up as near to the start of December as possible and this year will be no different. I like to have the tree up for as long as possible so we can enjoy it. My purple and silver theme needs an update, it has become less purple over the years and more mixed, this year I shall be introducing the beautiful copper and blush colours. 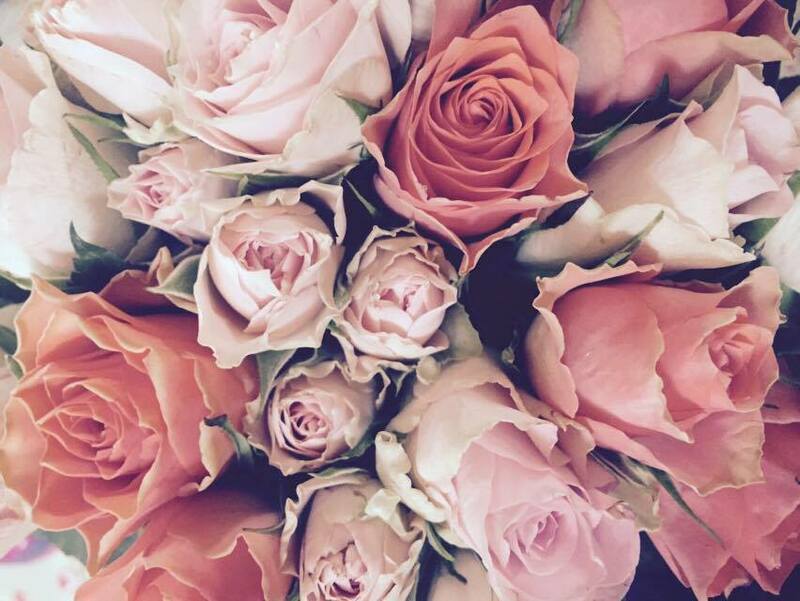 Cox and Cox have so far produced some of my favourite blush items, which seem to be more difficult to find, I bet next year they will be in every shop. 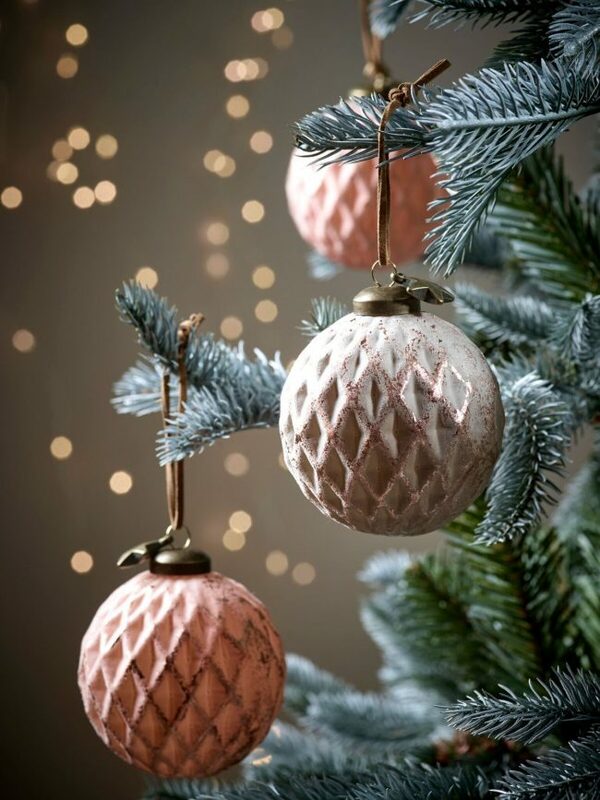 Cooper tones and rustic looking tree decorations seem to be the trend for this year, which is great as I love them plus they will work well with my style and sit nicely with a lot of the decorations that we already have. 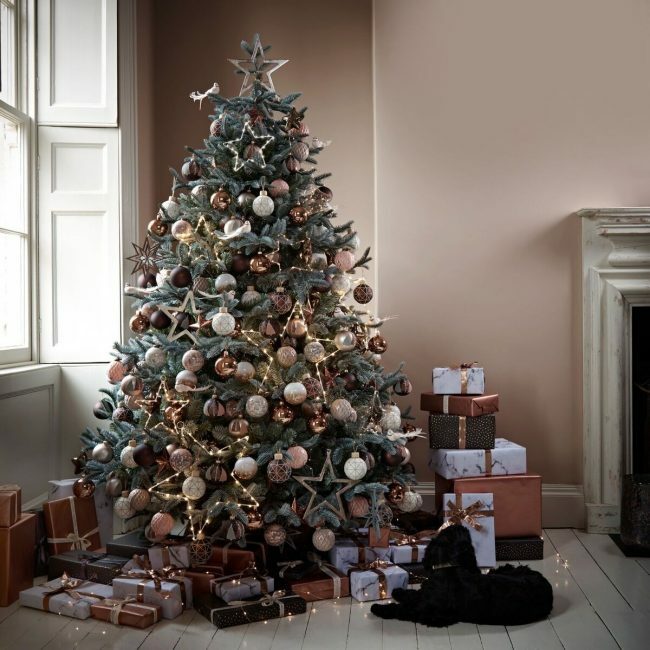 I just love the luxury feel to the blush and copper tones, I cannot wait to get my tree up and start to decorate it will so many beautiful nice baubles. A beautiful Christmas tree isn’t complete without beautifully wrapped presents beneath it. 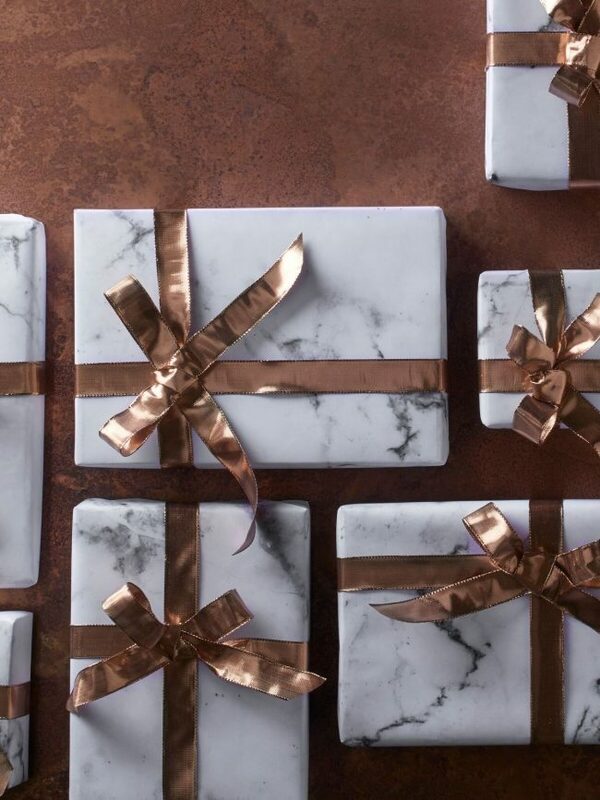 Cox and Cox also do a stylish range of Christmas wapping paper, labels and bows. 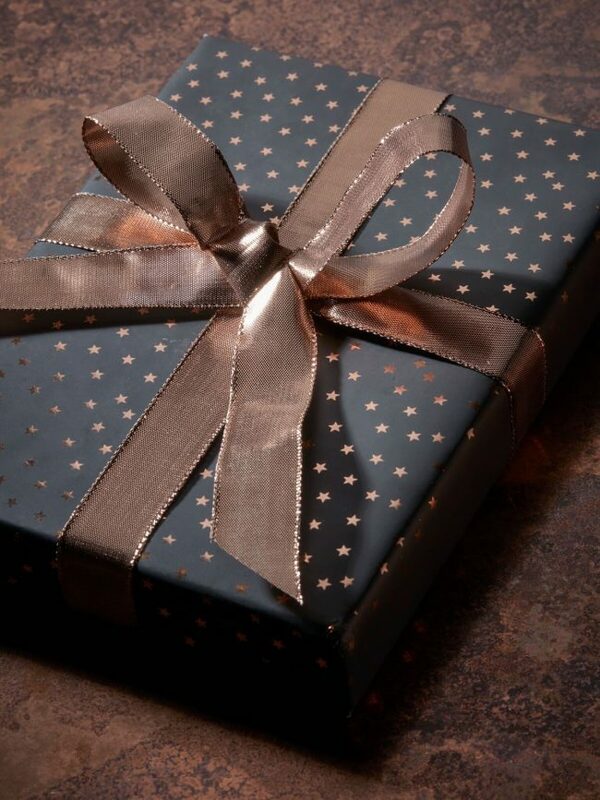 I do love presents to be wrapped with care and to all be finished off with pretty bows, ribbon or twine. I however, do not do this to all the presents under the tree, my children just rip through the wrapping paper without a seconds thought about the hours it has taken me to lovingly wrap them all up. So for their gifts I now buy enough of one patterned paper for each child to save me even having to put labels on them all, plus it means I don’t have to worry about them opening the wrong persons gift. Also this year for the first time I have a baby niece to buy for, she also has her own wrapping paper, not to sure why as she is only going to 4 months old at Christmas but I shall start with the traditions and continue them on. So what do you think to my choice of Christmas tree style this year? Is it something you would love for your own tree, or do you have another theme that you love?